Primo’s has used this proprietary blend of seasonings on its grilled steaks, chops, chicken and seafood for years! This bold blend combines paprika, parsley, garlic and onions to bring out the flavor of anything you put on the grill. This is our go-to rub, folks. 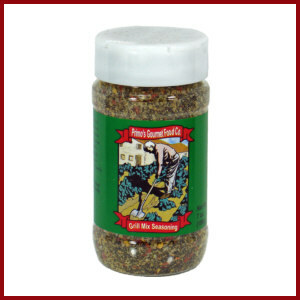 When in doubt about which rub or seasoning in your cupboard will work with what, pick this one! 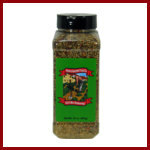 It is a nicely balanced mix of spices that will compliment anything.